I like the IDEA of (regular) golf way more than actually playing. Taking an afternoon to slowly move through the beautiful scenery of a golf course sounds great until I step up to the tee box, knock the ball 15 feet to the right and then spend the next ten minutes searching for the lost ball under the evil glares of the group of golfers behind me. Take the kids with me? Are you kidding? I know there are kids out there that play, but mine lose patience before I do. 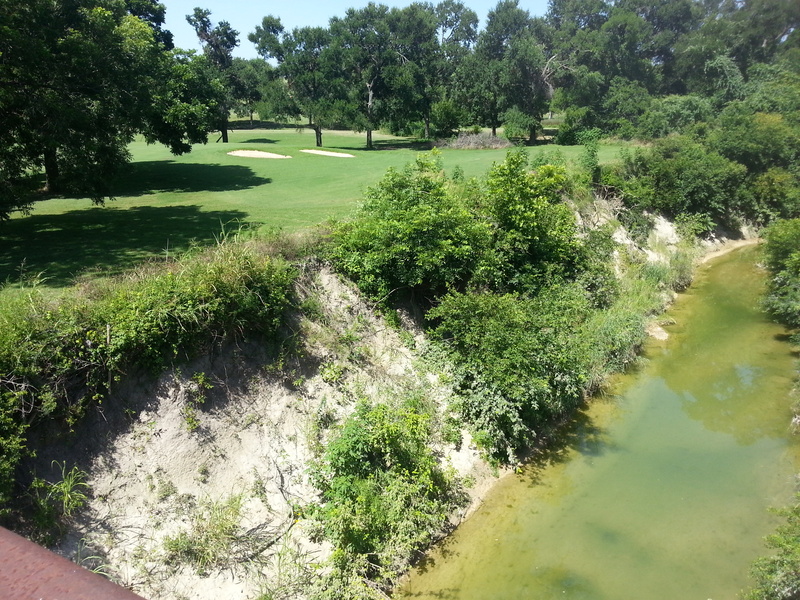 Enter Footgolf – played at the Harvey Penick Golf Campus in East Austin. I like this golf. You play with soccer balls and kick them into 21″ holes (see the gallery below). It’s played on a regular golf course with 2-3 footgolf holes per regular golf hole. 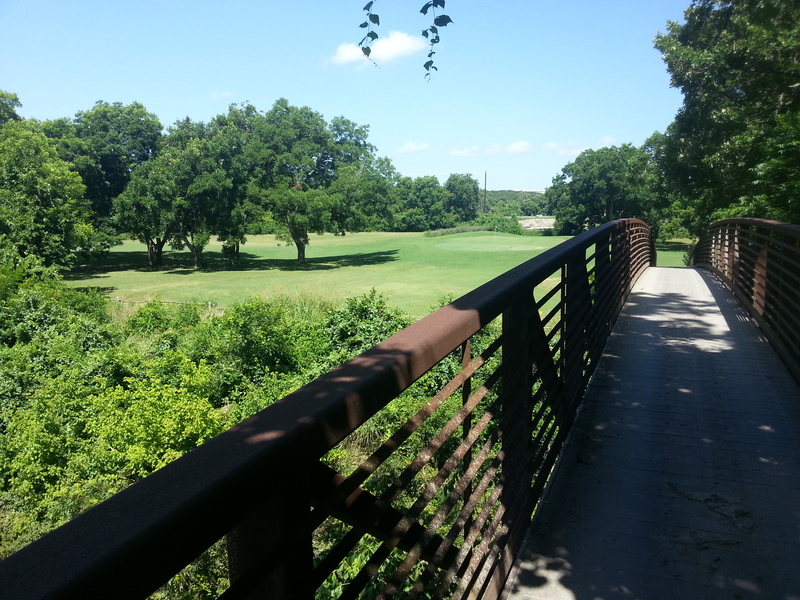 So you get the beauty of the golf course, the exercise of walking that course, with the ease of kicking a soccer ball. If you can kick a soccer ball, you can play footgolf. It’s not cheap/free (like frisbee golf – the other type of golf I like), but it’s a really fun outing that everyone can have fun with. My kids are 10 and 12 and they had a great time. Note: This is an affiliate link. Thanks for supporting the site! Pro Tip: They do rent soccer balls there, but we went to 5 and Below and bought our own for less than $5/each. They may have cheap ones at a big box store as well. Pro Tip: It gets hot on the course and their water jugs didn’t have paper cups. I’d recommend bringing your own water bottles. For more information on Footgolf at the Harvey Penick Golf Campus, including hours and prices, see the Harvey Penick Footgolf page. Summary You can now play Footgolf in Austin. 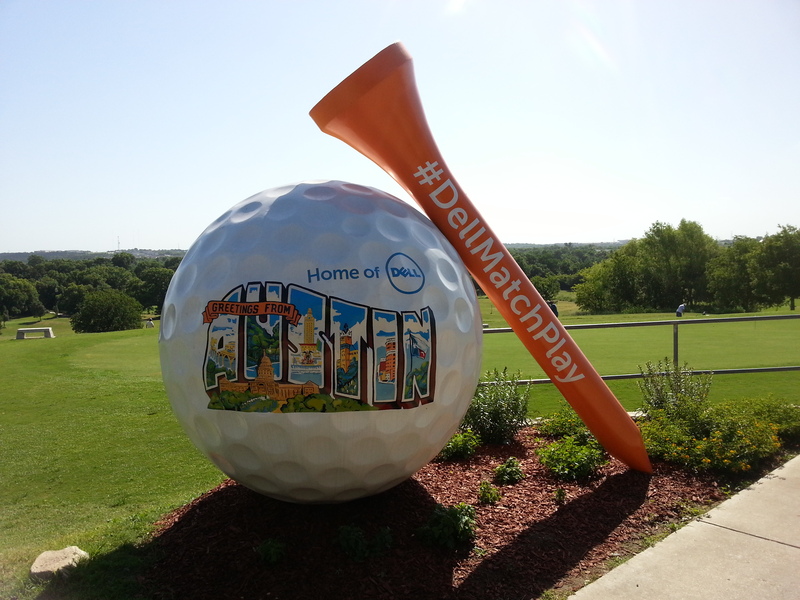 It's like regular golf, except you play with soccer balls and kick them into 21" holes. You get the beauty of the golf course, the exercise of walking that course, with the ease of kicking a soccer ball. 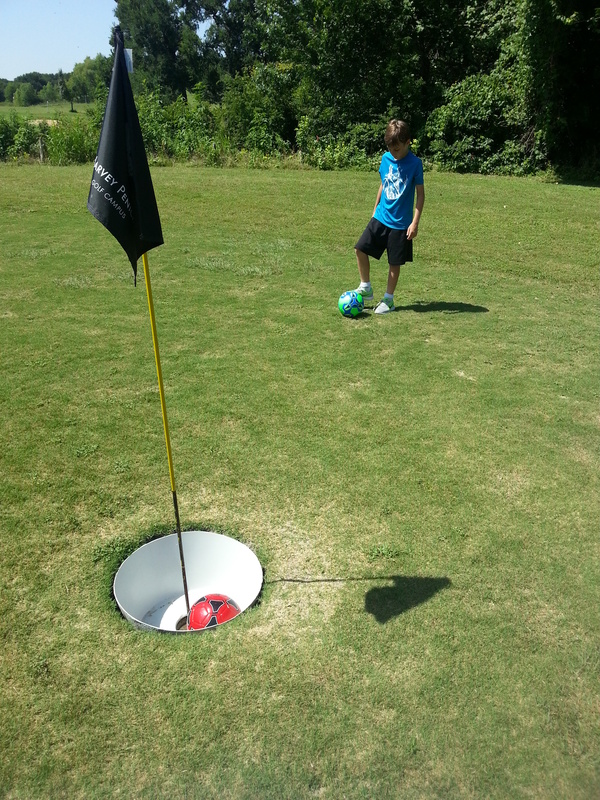 If you can kick a soccer ball, you can play footgolf. It's not cheap/free (like frisbee golf - the other type of golf I like), but it's a really fun outing that everyone can have fun with. PreviousA Creek-Fed Swimming Hole in Circle C Park?